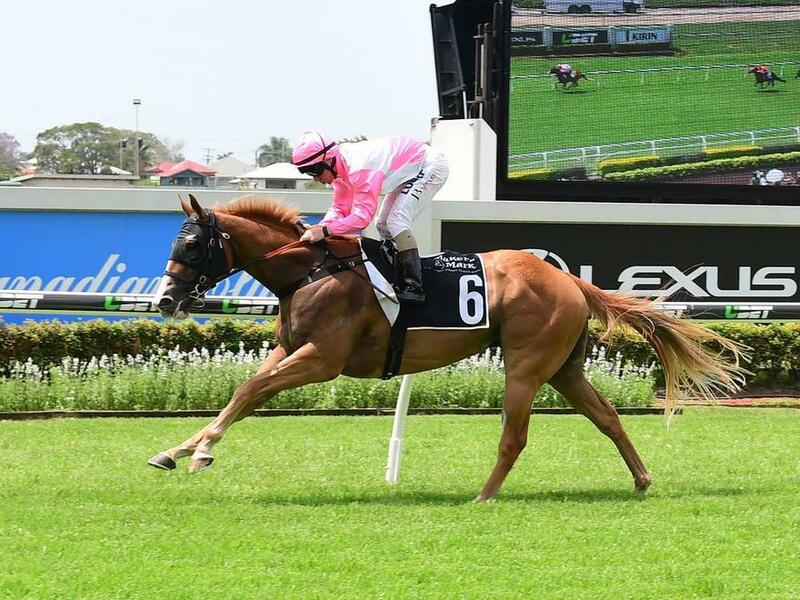 Three-year-old gelding MOSS CHEVAL broke through for his maiden victory in dominant fashion at Doomben on Melbourne Cup day. Ridden by leading hoop Jim Byrne, MOSS CHEVAL controlled the race from the front and went on with the job impressively to score by 5.75 lengths. The win came at start number five for the son of Mossman and followed on from a narrow second at the Gold Coast first-up this preparation. "It was one of the most impressive runs of the day, jumping from a wide barrier, showing good speed and winning as he likes," said trainer Chris Munce. "He's a lovely horse, has a good future in front of him and he's certainly only going to improve from that performance."